Man Utd are reportedly preparing to offer star goalkeeper, David de Gea, a new deal, which will make him their joint-highest paid player. De Gea has been a prime target for reigning European champions Real Madrid for almost three years now, and the Red Devils are determined to end Los Blancos’ pursuit by handing the Spanish shot-stopper a colossal new deal. According to The Sun, talks of a new deal with the 27-year-old are likely to be held within the next few weeks. And it has been suggested that the officials at Old Trafford are preparing a mega-deal that will increase his current wages from £210,000-a-week to £300,000-a-week. 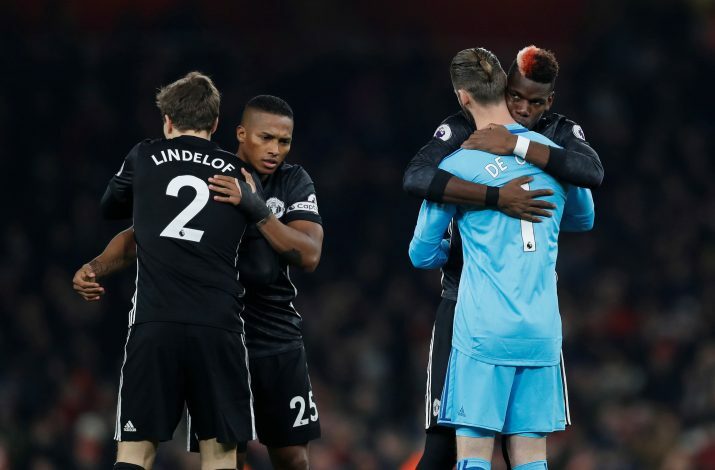 The giant pay raise would not only make De Gea the club’s highest paid player along with Paul Pogba, but also the holder of the most expensive deal in the Red Devils’ history. It was further claimed that Man Utd are aiming to get the Spaniard to sign a five-year extension, and permanently ward off any kind of interest from Real Madrid. “The club are finally going to kick-start contract talks with David very soon. There were hints of talks in the summer but formal discussions had not yet started, it was just a matter of time,” said a club source. The 27-year-old is under contract at Old Trafford until 2019, with the club having an option to extend it by a year. However, the Mancunian giants want him to sign the new extension, as they wish to seal the deal before De Gea leaves for the World Cup at the end of the campaign.